How to create irregular board outlines or complex board outline in EasyEDA? This is sometimes needed when you are designing a PCB for an enclosure that may have a curved profile, or other unavoidable mechanical features for which one must design. 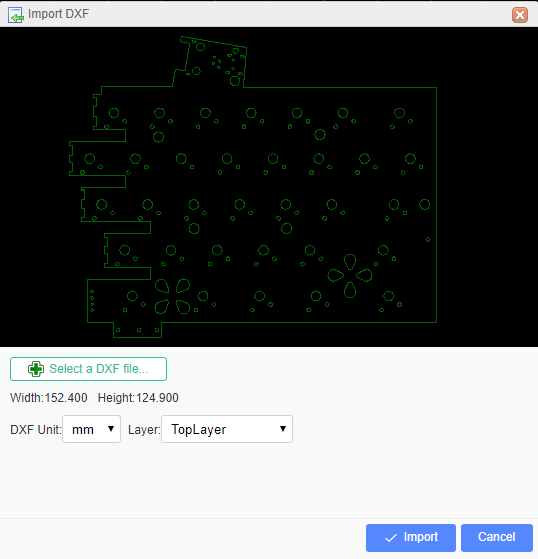 EasyEDA support that import DXF into PCB. 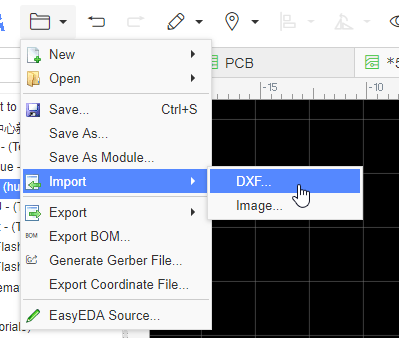 Find the import DXF menu under the file menu. EasyEDA provides two options, unit(mm, cm, mil, inch), and select the layer to which the shapes will be applied. 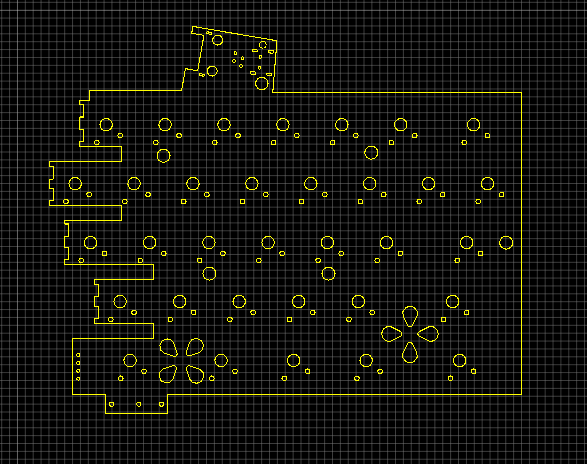 After clicking the import button, you will find them on your PCB canvas. The circles will be converted to holes if you choose the layer as board outline. There are some items which are not supported.